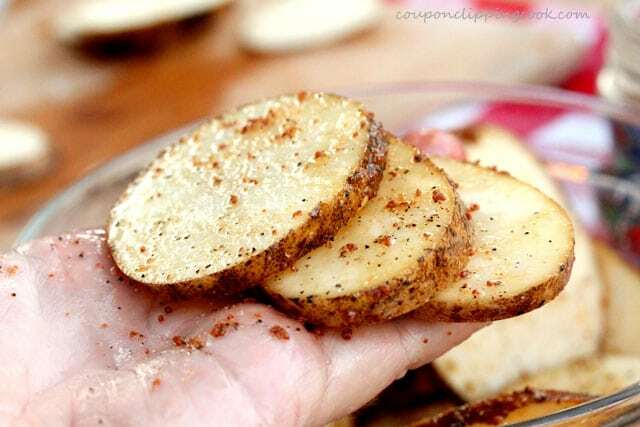 These tender slices of lightly seasoned slices of potato bliss will win your heart. For those times when you just can’t come up with anything to make for dinner, think potatoes. They make the best side dishes and taste good no matter what. 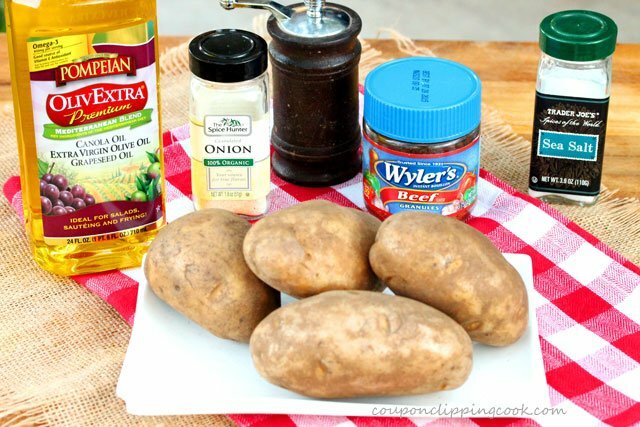 Here’s a super simple way to make a potato side dish right on the grill in minutes with only 6 ingredients. 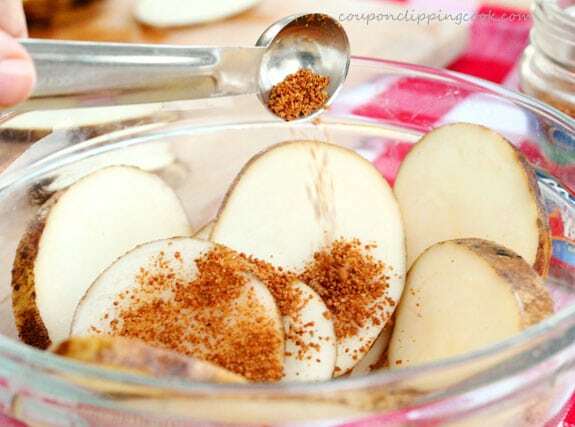 It has a secret ingredient that gives the potato a subtle, wonderful flavor, beef bouillon granules (concentrated beef stock that’s been dried in a granular form). 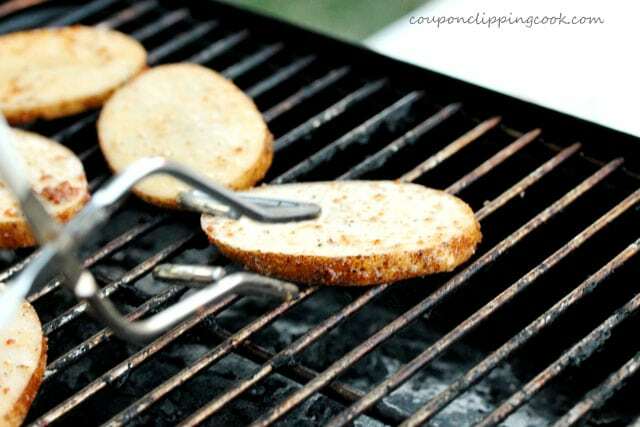 These potato slices are cooked on a barbecue, so no pans to wash afterwards. When cooking them on the grill, sometimes a slice or two of potato can fall through the grates on to the coals. But no worries, it will just create a little smoke which makes the potatoes taste good anyway. When you think of it, potatoes are such a loyal refrigerator pantry item. They last a good long time in the fridge, can be made a number of different ways, and just plain old taste good. I don’t have very good luck keeping them in the regular pantry. They tend to grow those little roots pretty quick so I always keep them in the fridge. 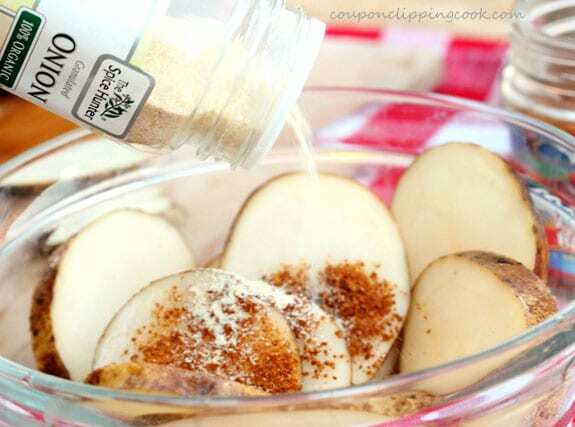 onion powder, pepper and salt (optional). …until the potato slices are coated on all sides. 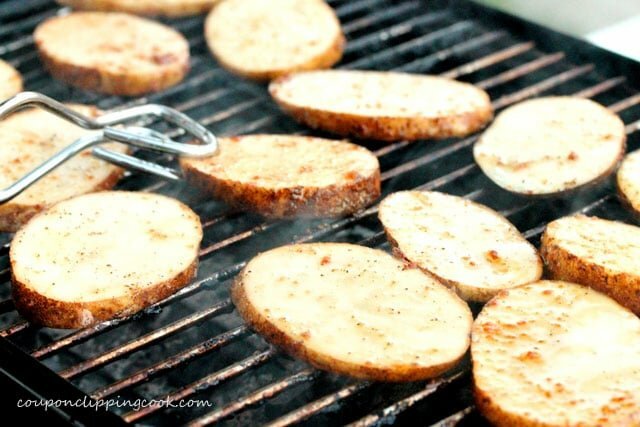 Carefully lay the potato slices on the grill, so they don’t slide under the grill on to the coals. Cover the barbecue for about 4 minutes. Remove the lid and turn the potatoes over. Let cook for another 3 or so minutes being careful not to let them get too brown. 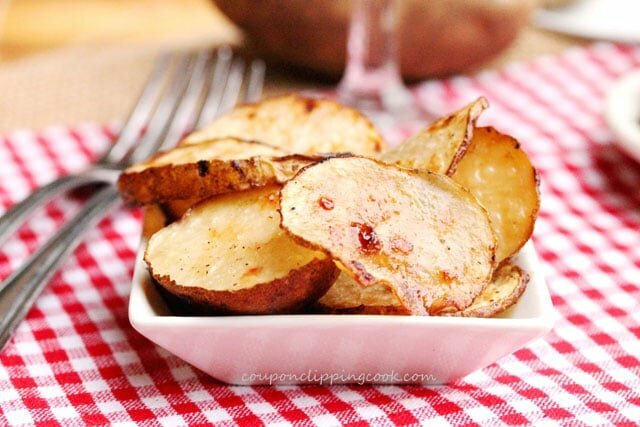 These tender slices of lightly seasoned slices of potato bliss will win your heart! Preheat a barbeque on medium heat. 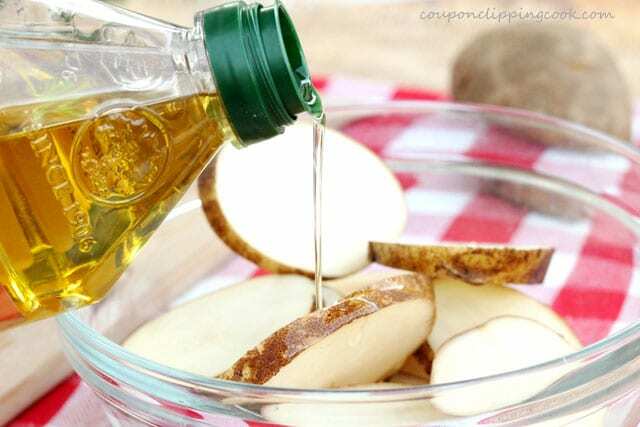 In a medium size bowl, add the potatoes, olive oil, beef granules and onion powder. 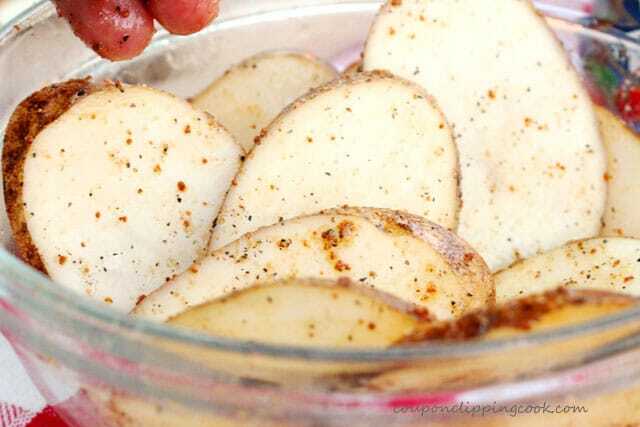 Using tongs or your hands, mix the ingredients until the potatoes are coated on all sides. 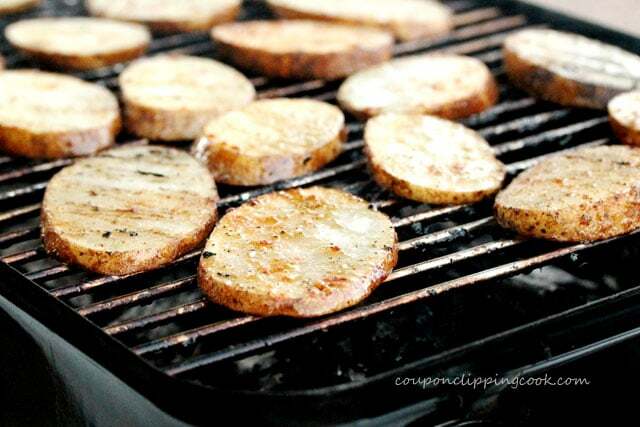 Lay the potato slices on the barbecue grill and cover. After 4 minutes, remove the lid and turn the potatoes over. 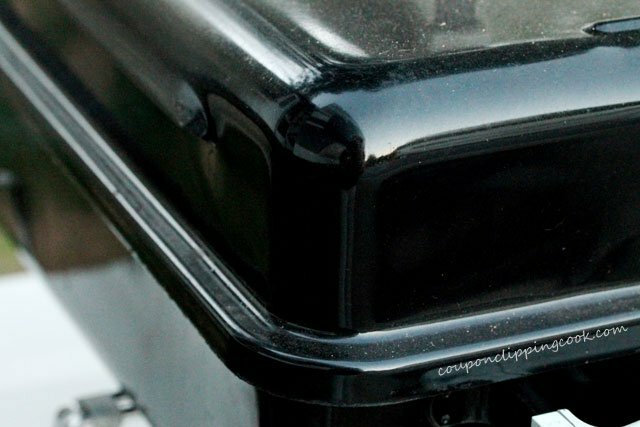 Cover with the lid. 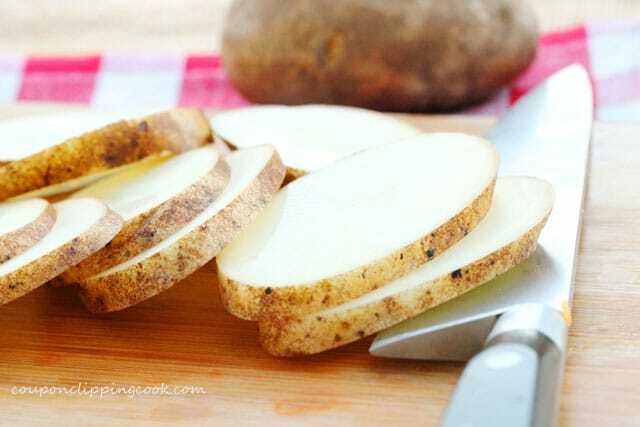 Cook until the potato skin starts to slightly wrinkle (another 3 or 4 minutes) and then remove them from the barbecue and on to serving plates. Serve warm, as a side dish.